we are the browns: tableside guacamole, i'm so glad to know that you exist. 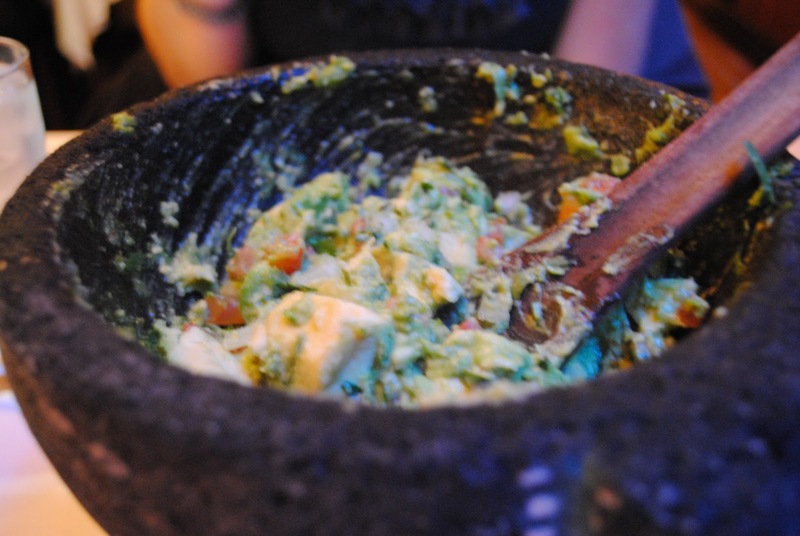 tableside guacamole, i'm so glad to know that you exist. aunt glenda left today and i allowed myself a whole afternoon to be sad. i am over it now, though, and am so glad that she came to play. usually when i see her, it's a big family affair, so i liked having her all to myself for a long weekend. one fun thing about having an aunt that travels to my new city four times a year for work is that she introduces me to great restaurants that i might not have discovered otherwise. the atmosphere was really funky and the food was delicious, but that is pretty typical of restaurants here. what makes this place so special, you ask? the waiter rolls a wooden cart up to the table and prepares fresh guacamole right in front of you. he literally slices an avocado and mashes it with tomato, jalapeno, onion, and cilantro. so simple, so divine. Yum, yum, and yum! I am so glad you two had such a great time! I wish I could have been there too! Hugs and kisses! I LOVE rosa mexicano and I agree, they have the best guacamole!! It is VERY popular here in D.C. and I go like a million times a year because it is soooo good! They have a different menu for lunch and dinner, both are so yummy! Also, try their famous pomagranate margaritas, simply THE BEST!